This puppy has a bad case of demodex (mange). A proliferation of demodex mites can lead to serious skin disease and, ultimately, death. 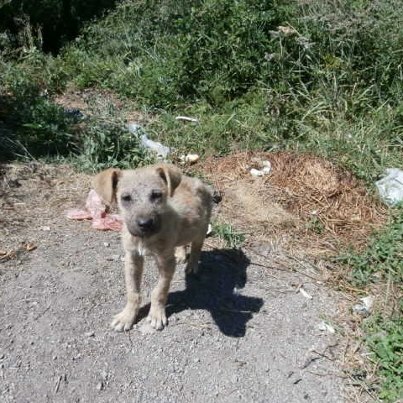 This little dog was found on the street, and unless money can be raised to isolate him in a home and give him proper medical attention, he will have to go back onto the streets – potentially spreading the disease amongst other stray dogs. Ma;nutrition, lowered immune system and stress are prime factors in demodex. Please help save this puppy and give him a chance to heal by staying in a special dog ‘pension’ (hotel). This costs between $3 – $10 per day depending on the quality of the pension. Go here to find out how to donate – it would be directly to me via PayPal and I would then transfer the money to Bosnia. I can also give you the PayPal email address of my Bosnian animal welfare contacts if you prefer. Even just one dollar or one euro will help.